Arrival in Chiclayo by bus or plane and transfer to your hotel. 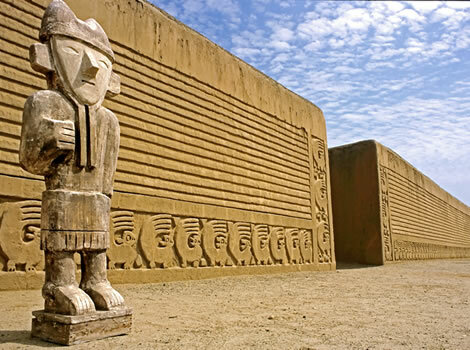 You will start this tour with a visit to the archeological site of Huaca Rajada, the original tomb of the Lord of Sipan. 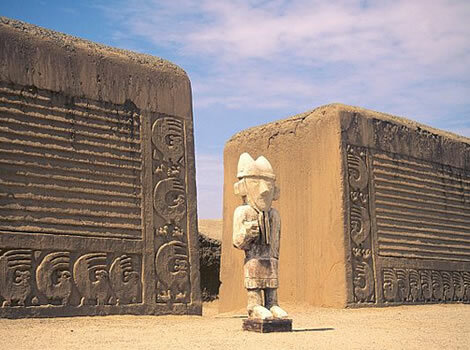 Today starts with visiting the archeological site of Las Huacas del Sol y la Luna (tombs of the sun and the moon). This are remains of gigantic tombs/ temples from the Moche culture (100-700 AC). Several structures on this site are still decorated with well conserved paintings on the walls. These paintings/ murals, together with the many beautiful decorated golden and ceramic objects that have been found on this archeological site can be seen in the onsite museum. Lunch is in the fishermenâ€™s town of Huanchaco. Todays special archeological tour starts with a visit to the Museum of Sican. This museum shows a great collection with (golden) objects which were found in Bosque Pomac. 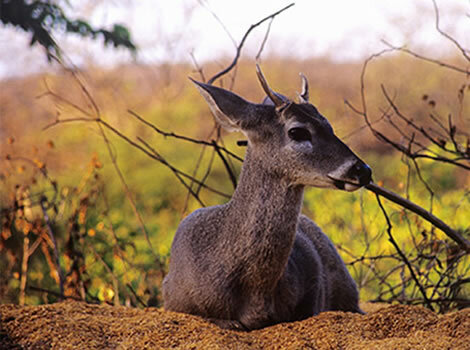 From the museum you will make a short hike through the dry tropical forest of Bosque de Pomac (Batan Grande). During the hike you will be able to see different bird species, typical to this area and learn more about its history. At the end of the afternoon you visit the well-known Bruning Museum. This museum includes a very complete collection about the history of the surroundings of Lambayeque. For example: detailed textile and ceramics from the Chimu and Vicus culture; ceramics + golden objects and jewelry from the Mochica and Chimu culture + several other objects from the Lambayeque, Moche, Chavin and even Inca culture. Early arrive in Chachapoyas and early check-in in your hotel. The tour of today goes to the Gocta Waterfall. With a height of 771 m this is the third highest waterfall in the world. The Sarcofagos de Karajia are 7 monumental coffins of about 2.5m high. They are decorated with geometric figures and contain mummies, ceramics and other objects that were given to the death for their journey in the afterlife. This tour is often combined with a visit to the stalagmites and stalactites from Quiocta, one of the biggest cave systems of Peru. The archeological site of Kuelap is build on top of a mountain (3000m) and used to be the capital of the Chachapoyas culture. Most of its rustic high walls and buildings are still covered with lush vegetation, including bromelias and orchids. The tombs of Revash are cut out of the rock wall and painted with typical motives from the Chachapoyas. After arriving in Lemeybamba, you will bring a visit to the local museum. This museum shows a colleccion, with more than a 1000 objects and 200 mummyâ€™s that were partly found in Laguna de los condores. 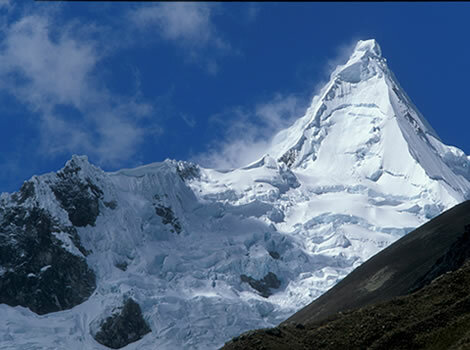 Today you drive along a scenic road from Leymebamba to Cajamarca. In the morning you will visit the rock formations of Cumbemayo. 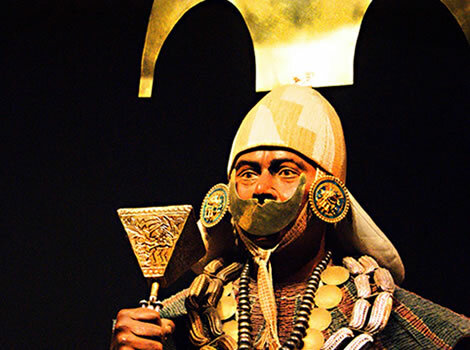 It is said that the pre-Inca civilization (Caxamarca) already 1000 B.C. constructed a channel from this location to the town of Cajamarca. 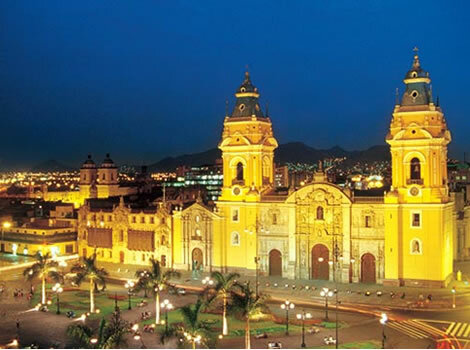 During the city tour you will pass by: Plaza de Armas, Iglesia San Francisco, Cuarto de Rescate, Complejo Belen, with museo etnografico and the Mirador (look-out) of Santa Apolonia. Again a scenic ride (6h) brings you from the countryside of Cajamarca back to the archeological desert of Trujillo.